Most of us need access to internet while on the go, internet providers making the move to answer what we want by offering handy wireless device, pocket Wi-Fi and USB modem. Using those devices you can able to access and browse to the internet as long as you get a good network signal. We will mention few known devices offered by our providers, Globe offers Tattoo Broadband and 4G Flash modem, Smart has SmartBro or myBro, PLDT also offers WeRoam and Pocket Wi-Fi modem on their Negosyo Boost and Sun Cellular also got Sun Broadband Wireless USB modem and Pocket Wi-Fi’s. In this post will talk about setting up your Sun Pocket Wi-Fi that uses Huawei E5832 modem. Setup your Huawei E5832 modem given by Sun Cellular when you avail their postpaid unlimited internet plan 799 or 899. 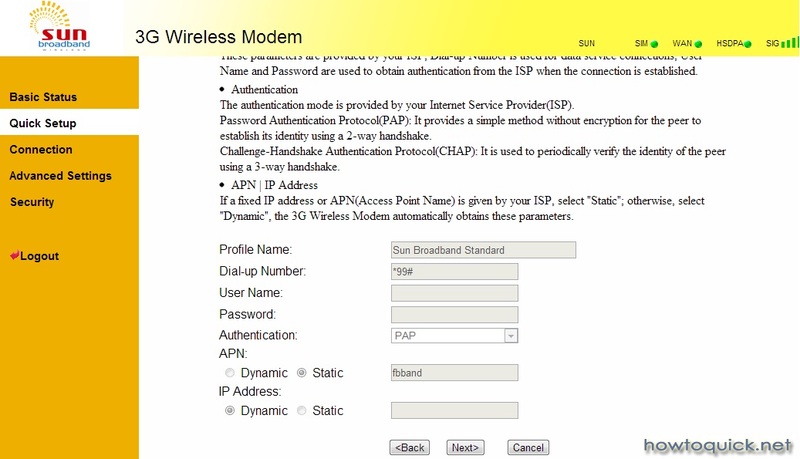 Tutorial covers pocket Wi-Fi modem login page, default password, WLAN settings, setting Wireless access password and other basic router settings. 3.Open your browser (Google Chrome, Firefox, Internet Explorer etc.) then type 192.168.1.1 on the address bar and hit enter. 4.You will be prompted to input the Admin password. Just type the default password ‘admin’ then click login. 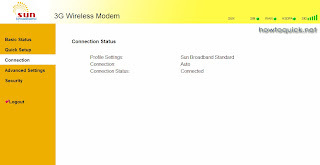 After successfully logging in on your modem, you will be automatically redirected to Sun Cellular Pocket WiFi Huawei E5832 main router page. 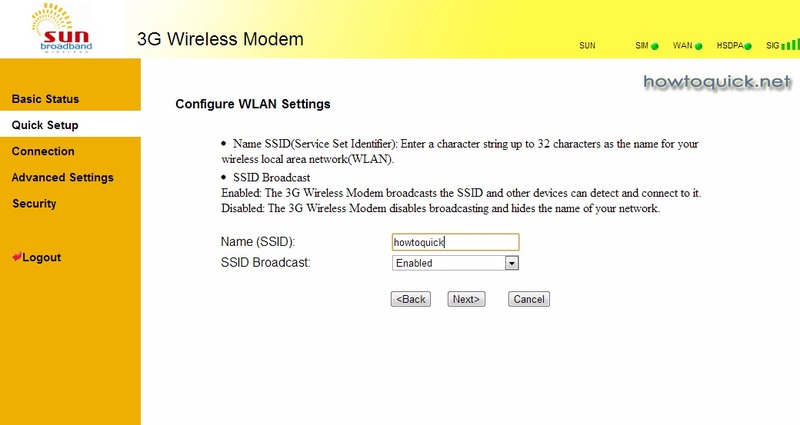 5.Go to Quick Setup tab to setup your 3G Wireless modem, just click Next. 6. On the Configure Profile Settings input the details provided below. 7. Click Next to configure Dial-Up settings, leave the connection mode to Auto then click Next. 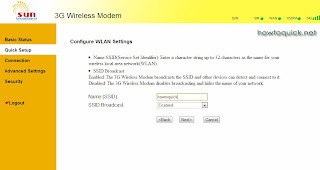 8.On Configure WLAN settings, input your desired Wi-Fi name or SSID. Select Enabled option on SSID Broadcast for you to be able to search your wireless network. 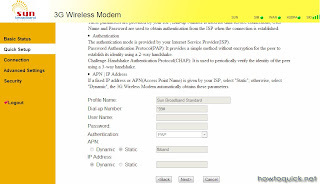 9.On Configure WLAN Security, select Encryption mode from WEP or WPA type.10. Input your desired Wi-Fi password then click Next. 10.Next page will show your router configuration and settings, just click Finish. To force your modem to connect 3G signal, just set your preferred network settings to WCDMA only. This is to avoid encountering 2G or EDGE signal on your device, simply follow the steps on how to set the preferred network mode. 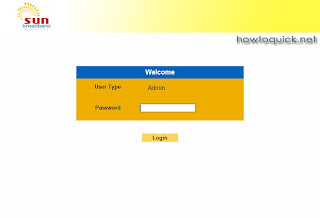 1.Login to your router page and type your admin password. 2.Go to Advanced Settings and select Mobile network settings then click on Network Settings. 3.On Network Settings go to Preferred mode and choose WCDMA only on drop down options. 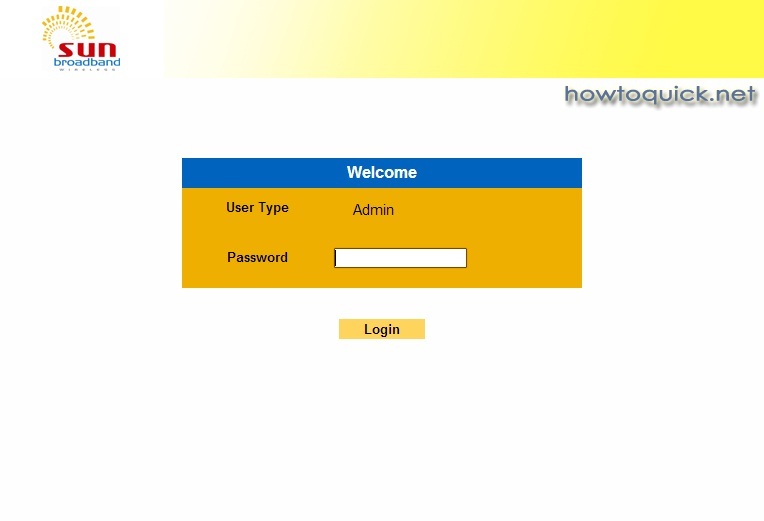 How to modify or change your router page Admin password? 1.Go to Advanced Settings click on System then click modify password. 2. After putting up all the password details hit Modify. How to edit your Wireless password on your Sun Pocket Wi-Fi? 1.Go to Advanced Settings click on WLAN Settings. 2.Click Advanced WLAN Settings to modify your Pre-shared key then click Apply. hello sir tanung ko lang asaan po ba ung text menu ng huawei e5832? gusto ko kc i-register ung prepaid load ko sa unlimited internet promos kaso wala me makita sa menu dashboard niya. Hope you can help me..
sir meron bang way pra ma reset ko ang password ng pocket wifi na e5832 kc ndi ko alm password nito bnigay lng ng cousin ko skin eh wla nxa dto sa pinas. sir tanung ko lang po if my way ba pra ma reset ko yung password ng sun pocket wifi e5832.kc bnigay lng ito skn ng cousin ko eh ndi q alm password at wla nsya dto sa pinas. next time ako nman mag tuturo programing po kasi ang alam ko sa cp at pc!! kung may tanung kayo bisita lang po kayo sakin tnx! Gud eve... sir is there a way to know kung ano anong gadget or sino sino ang nag.ko connect sa pocket wifi ko since they already know my password? Tnx po. Hello po uli. San ko po mababasa ang messsge ng sun pocket wifi ko? Post paid po yun. Tnx! paano ireset anf profile. like, na sinoli na sa akin ng nagreisgn na empleyado, tapos walang iniwan na mga details, such as login password and wifi password? tanong ko lang sa Sun Cellular Pocket WiFi, kailangan ba talaga na isaksak palagi sa computer o pwede na nka standby lang at i charge when it is low bat? Hi ! Meron po aqng postpaid sun pockwt wifi. Pero nakalimutan q po ung password. Pano po kaya maretrieve un? What load ang makaka save? i have a sun pocket wifi plan that is now disconnected can i still use it?? and i also forgot the password the steps on how to reset the device is not working, what should i do? sir,i am using a sun broadband and i don't know how to set my 3g setting- network selection into manual or WCDMA only since it is unclickable and it is passive.. need help sir!! fbband setting sa APN is only for plan; if prepaid, use minternet. pwd po ba gmitan ng globe sim ang sun huawei na pocket wifi ? nawala kc ung sun sim ko .. thanks po ..
Hi sir paano po kung yung mismong pocket wifi model e nawala ko pwede po bang bumili na lang ng bagong model without setting up a new deal? I hope you can help, have a sun pocket wifi plan that is now disconnected can i still use it? what settings do i need to change so that I can use a prepaid sim in there. Sir, magkano ba yung pocket wifi nyo at pwede din ba yan sa tablet at laptop kung mobile? Is there any way to change a password on iPad? gud morning po san po makikita ung wifi ready pg laptop ang gamit hnd q po kc kabisado tnx sna po matulungan nyu po ako..
Good afternoon po. Yung pocket wifi po kc naming hindi ma detect ng ibang gadgets. nagagamit lang sya sa laptop through connector. pero yung wireless nya, hindi po gumagana. ano po bang pwedeng gawin ditto???? Plase reply ASAP Thankyou!!!! pano po ba mag set up ng password sa pocket wifi? sir panu ko poh mapapalitan ung password ko if hnd ko ma connect sa laptop ko ..
hello po. Sir, ung pocket wifi ko lagi lagi na lang nirerequire mag-log in ako Napuputol lagi ang internet connection ko. Naka-register naman sa unlimited promo ng sun. Prepaid sim ang gamit ko. Anong dapat gawin? Isa pa pong tanong, bakit kinakailangan ko pang maglog-in gamit ang desktop/laptop bago gumana pocket wifi ko? Ang globe pocket wifi ng sister ko (prepaid sim din ang gamit), basta kapag ini-on na, makakakonek na ang ibang gadgets. Automatic. Etong sun pocket wifi ay hindi. Tapos napuputol putol pa. Kailagan bantayan. May dapat bang i-configure sa settings? Salamat. hi po ask kolang po may paraan po ba para makita ko ulit ang admin password ko nakalimutan ko po kasi kaya hindi ko na po ma set up ang pocket wifi ko sa sun anu po ba ang dapat kong gawin? hello ilang mb po ba ito? May limitation din ba pag naubos na ug mb or gb? Try nyo po sa WLAN settings, tingnan nyo po kung naka enable ang SSID broadcast. Hello po, kukuha po sana aq ng sun pocket wifi ipapadala q sa mati davao oriental, meron po bang signal duon ang sun? just want to ask bkit nabiblink ng blue color yung M sa pocket wifi device ko,huawei e5832 po yun..ano po ba prob pag gnun?d din kasi sya nakakakonek sa net pero mu load naman ako.. Ask ko lang po, ung sun cellular na pocket wifi nagcoconnect xa sa sa mga mobile device pero sa laptop ko.. limited access na siya. the i tried na magaccess sa 192.168.1.1,...pero wala pongnalabas...anu po ba ang dapat gwin?